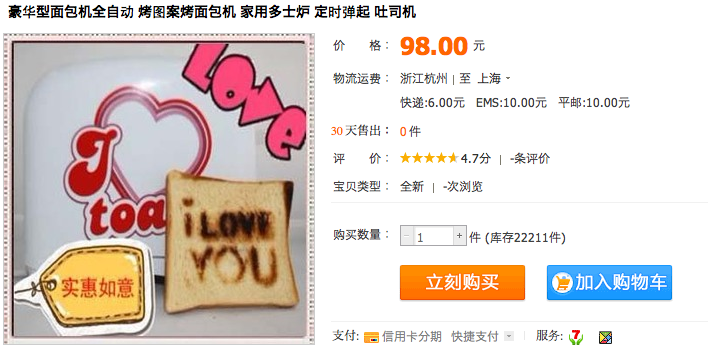 Once again, its been a while since I did a shopping post. 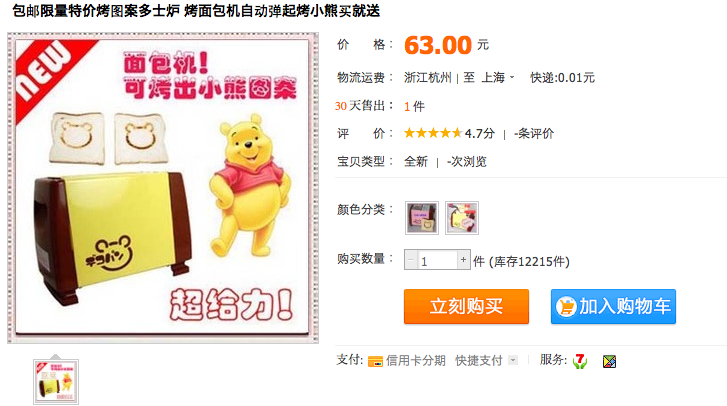 While my expenditures on Taobao appear to be at an all-time high, its mostly on computer related items. Still, its not all work, and I do get time to research random stuff on occasion whilst sourcing stuff. 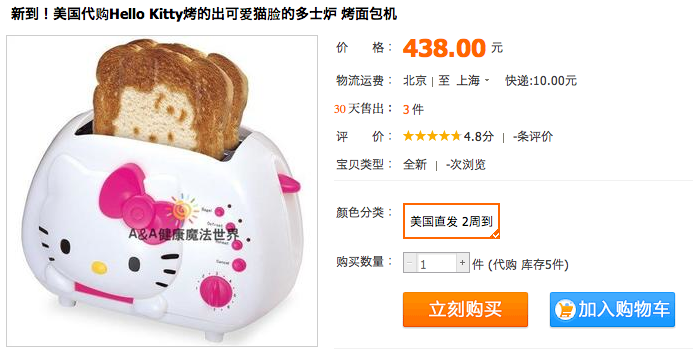 Its a little bit expensive for a toaster, as its a japanese import, so I took a look at the local varieties. Having a sunny day is obviously affordable for the white collar worker, as can be seen from the pricing above. But what about the blue collar workers? 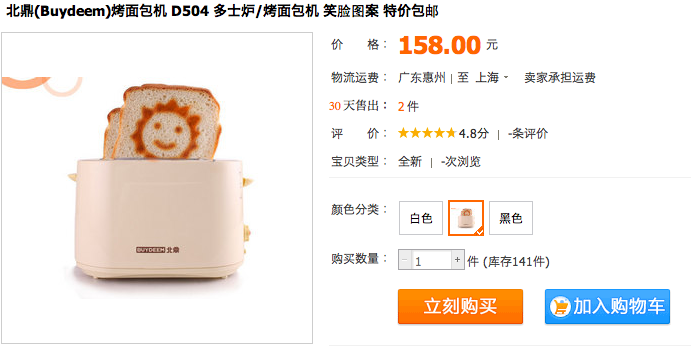 …Why yes, they too can also have a happy day. 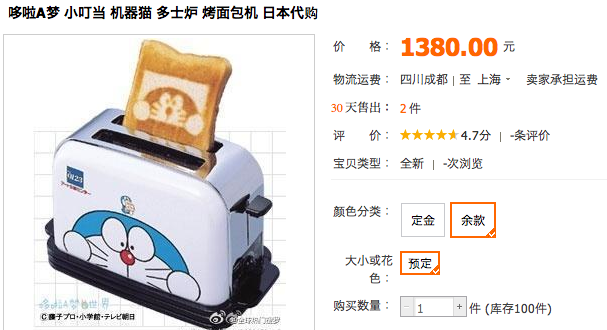 If Doraemon is not your thing, then what about a most probably unlicensed Pinnie the Wooh, cough, cough toaster? 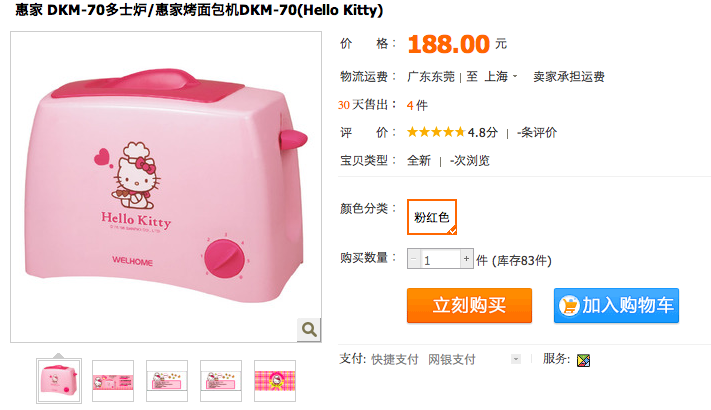 Lastly, because this *is* asia, yes, it does come in Hello Kitty.